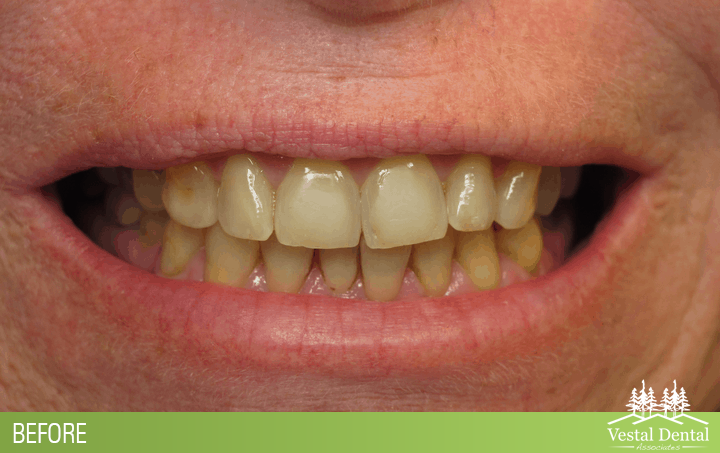 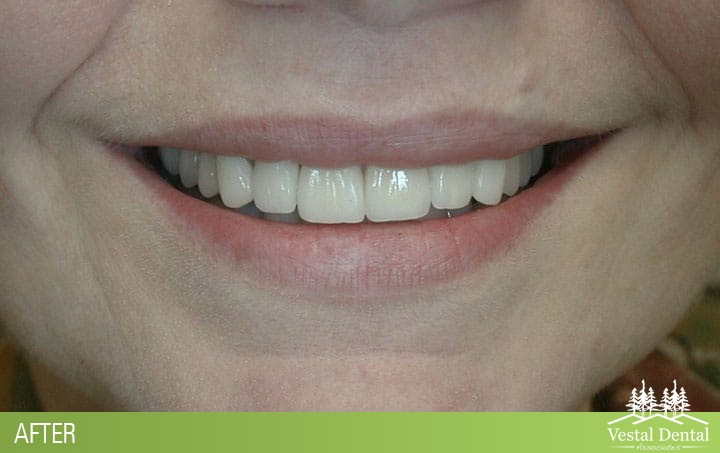 Cosmetic gum lift and re-contouring procedure utilizing a soft tissue laser. 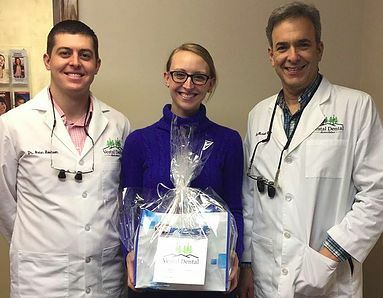 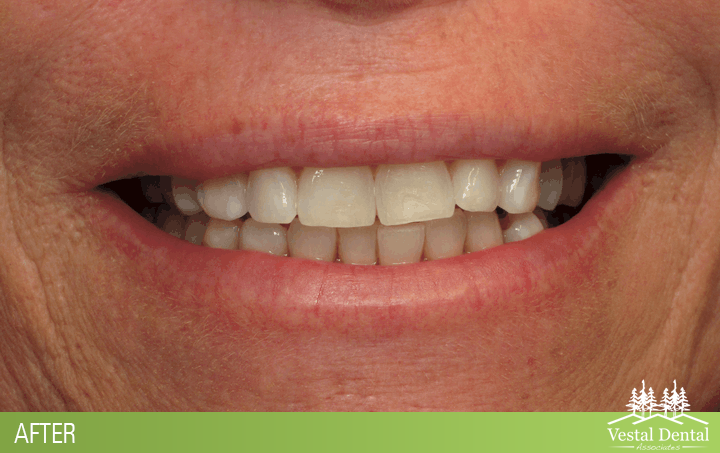 We have multiple options for teeth whitening ranging from in-office to take-home solutions. 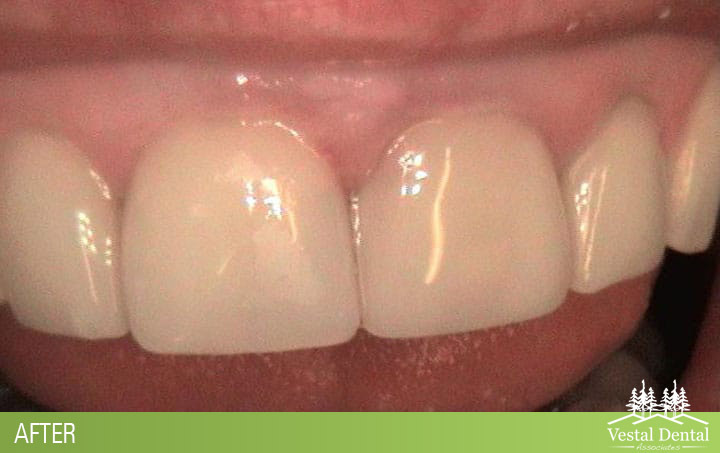 Conservative cosmetic bonding to help improve spacing. 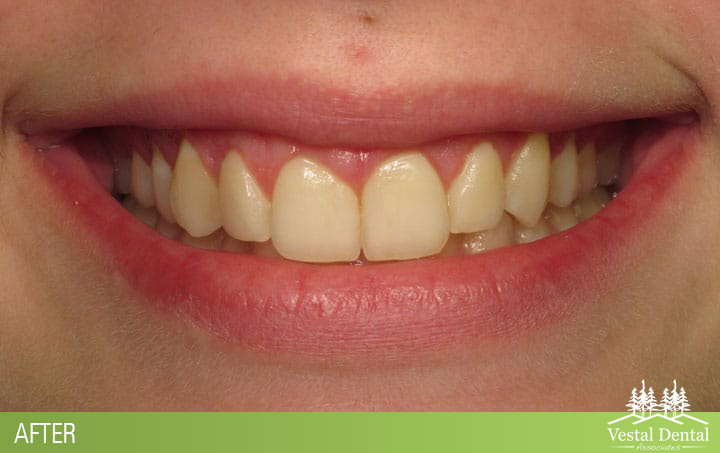 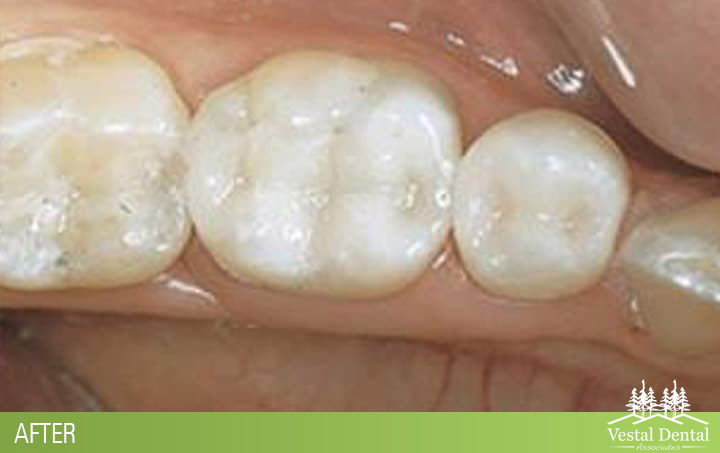 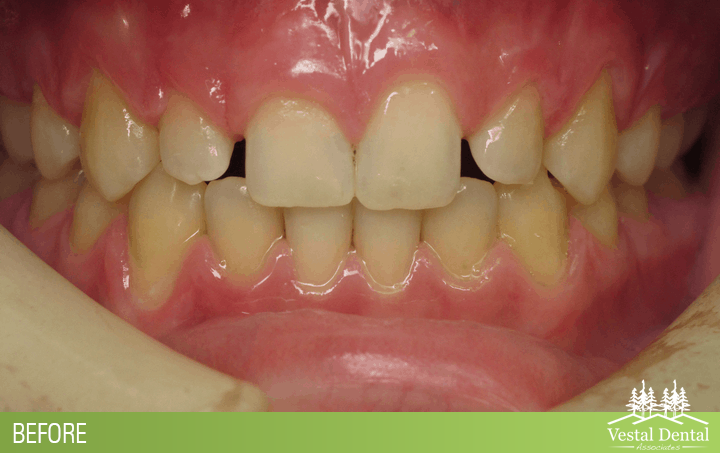 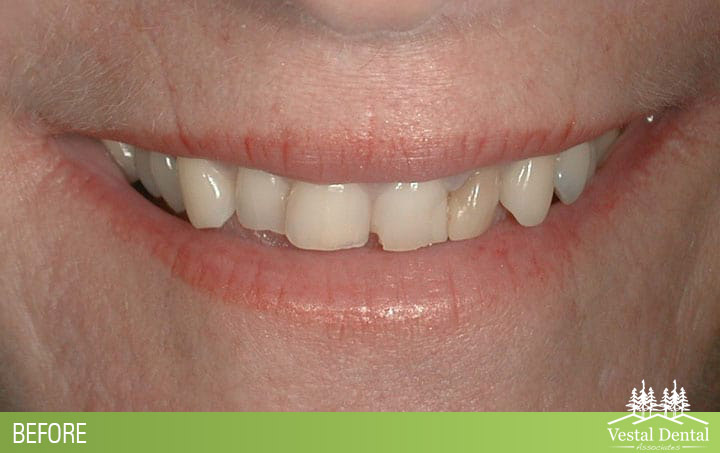 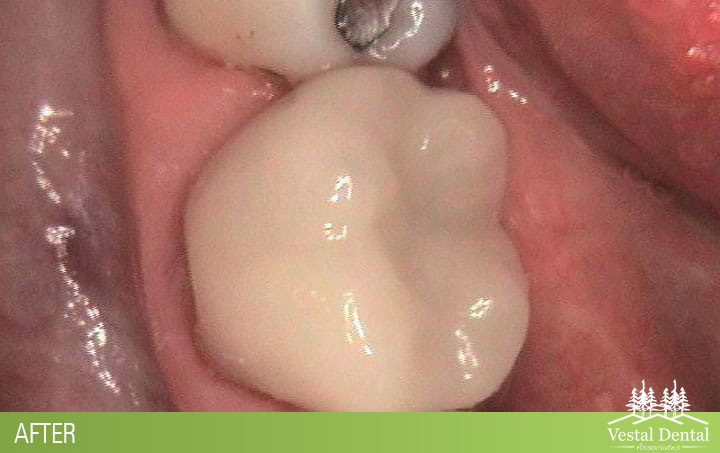 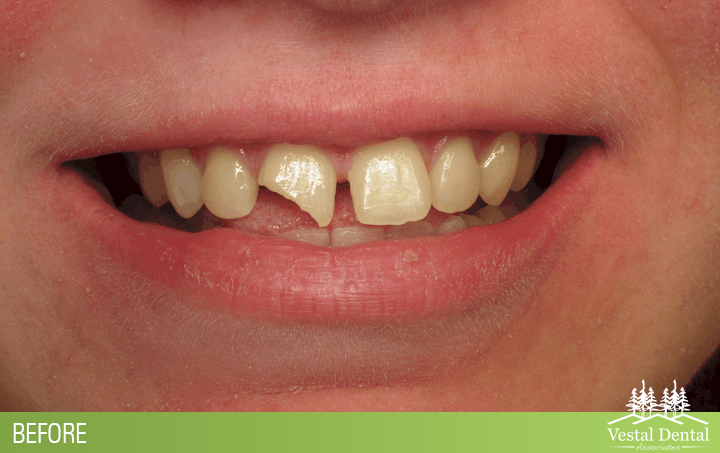 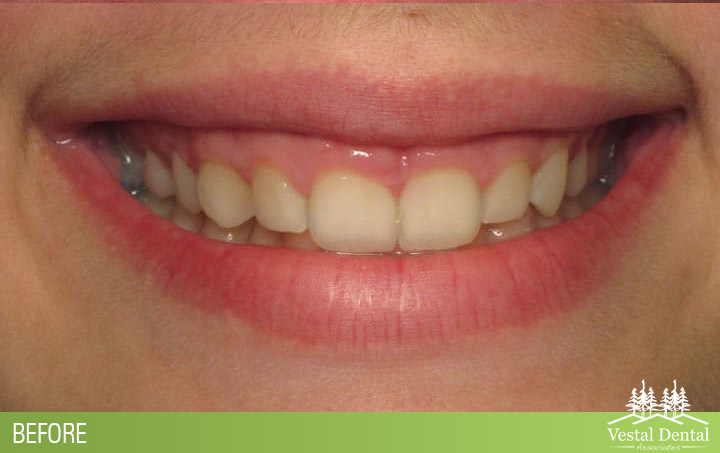 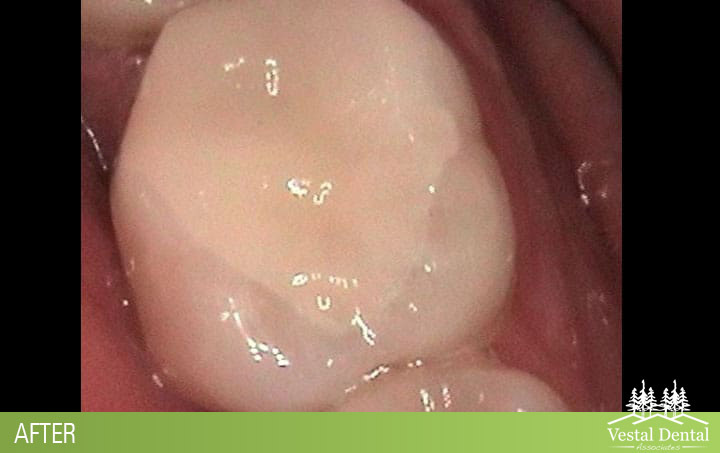 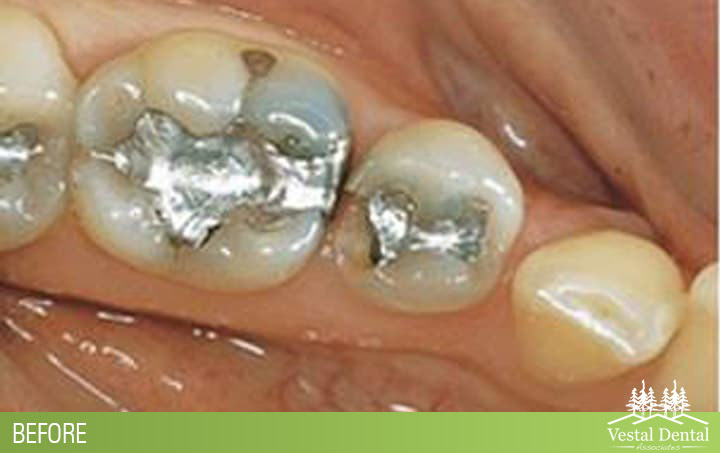 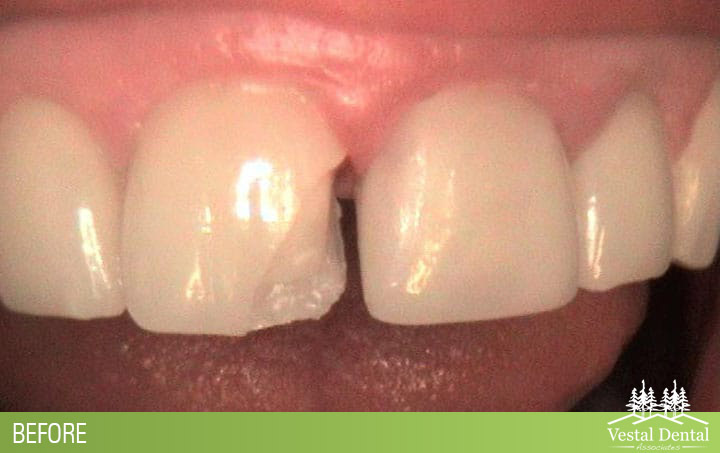 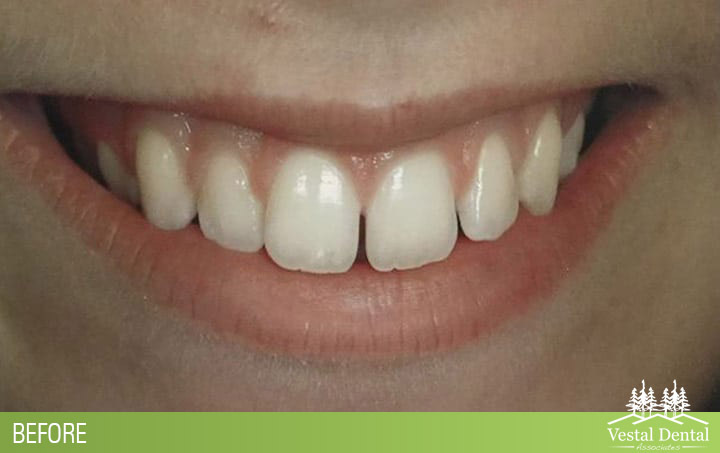 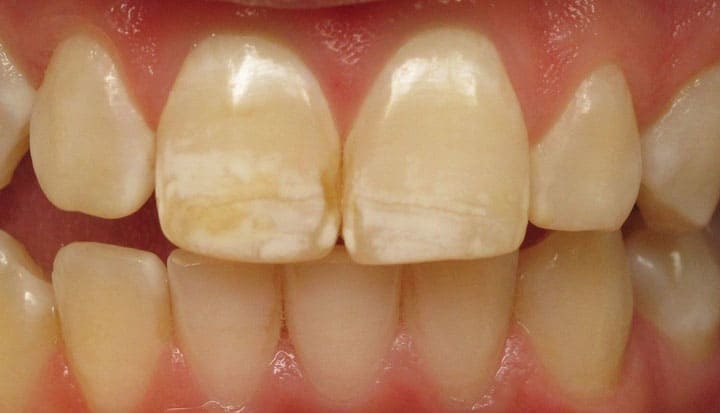 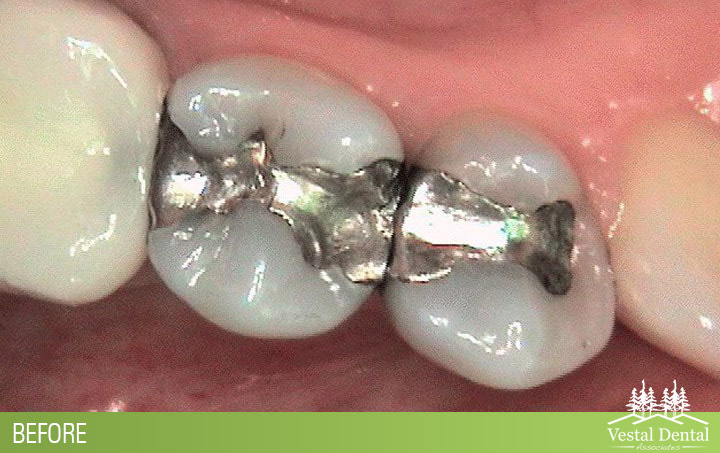 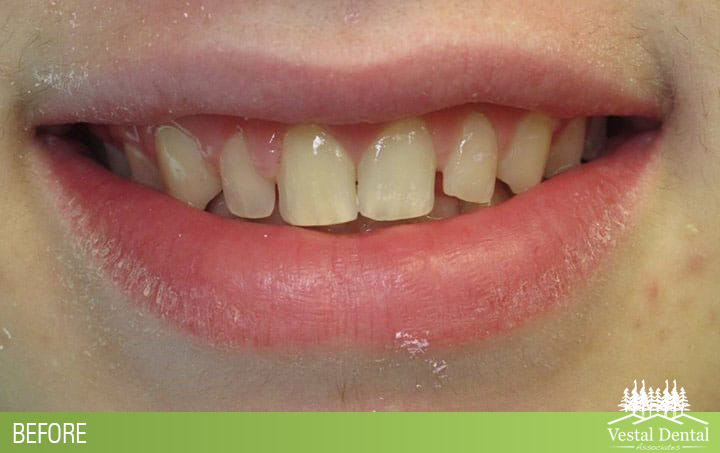 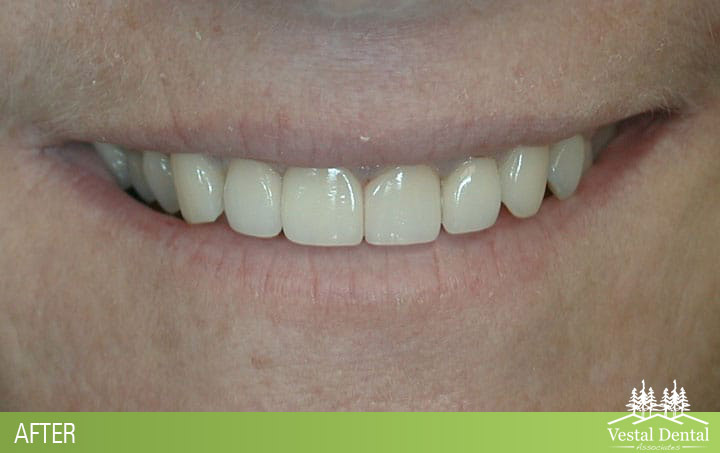 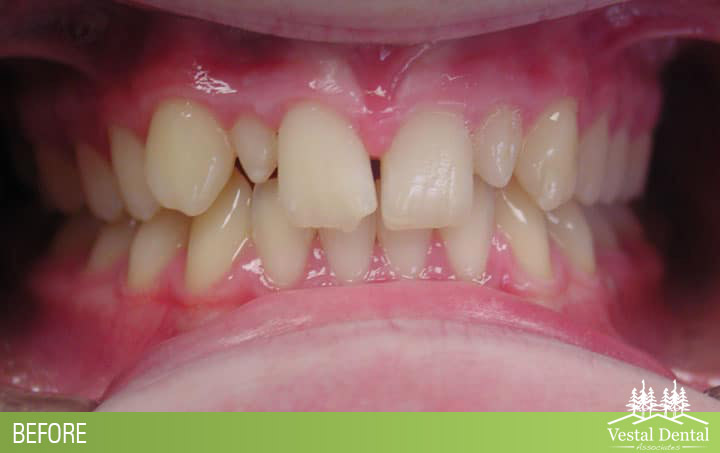 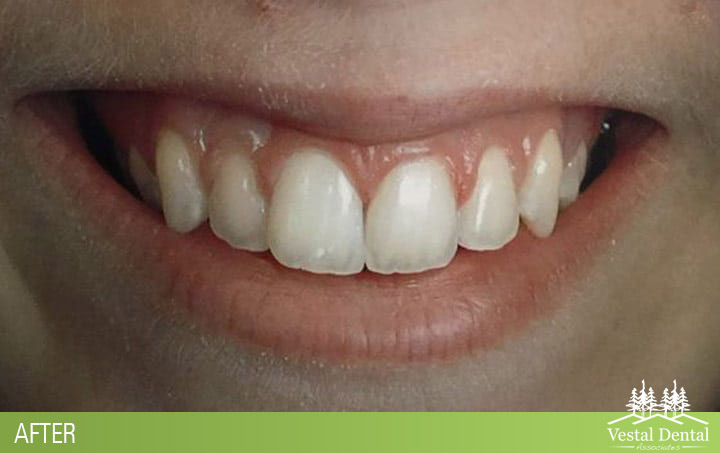 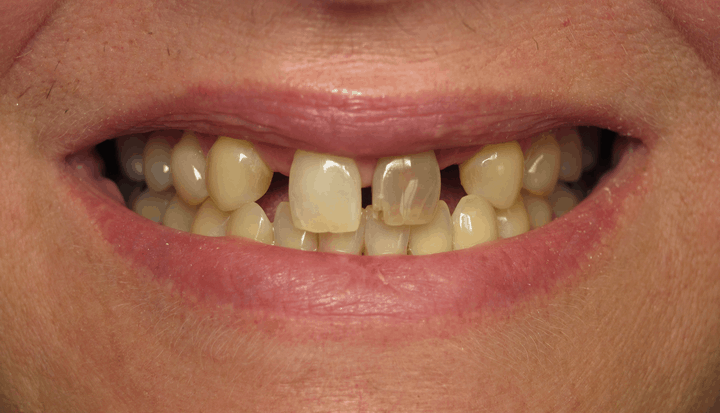 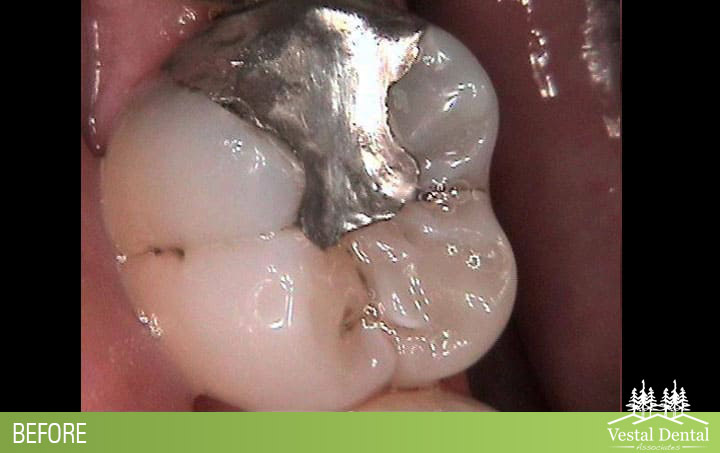 Broken down molar with decay, restored with a full contour e.max porcelain crown in a single 90-minute visit. 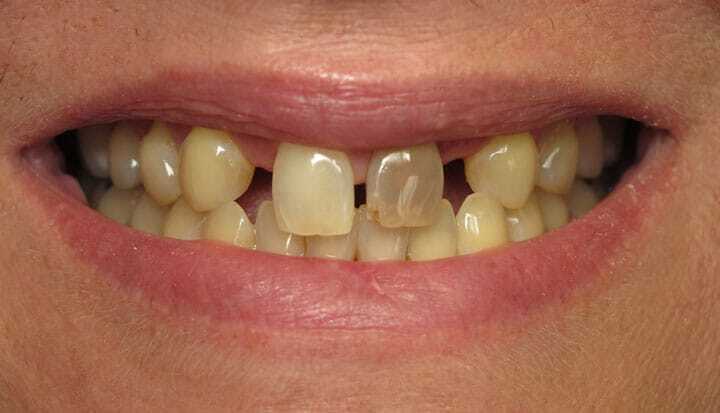 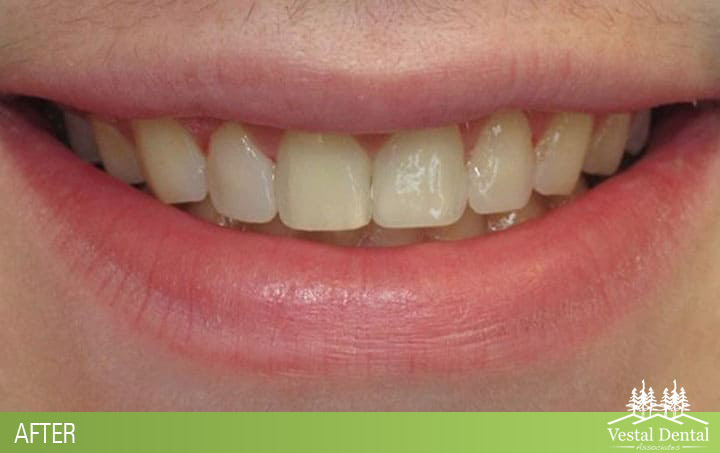 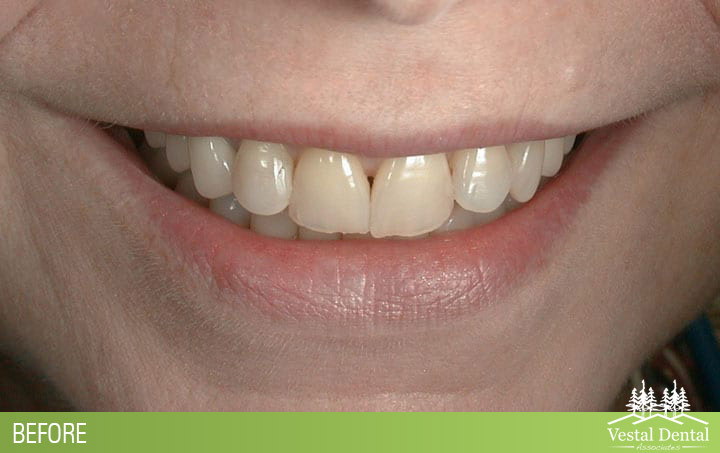 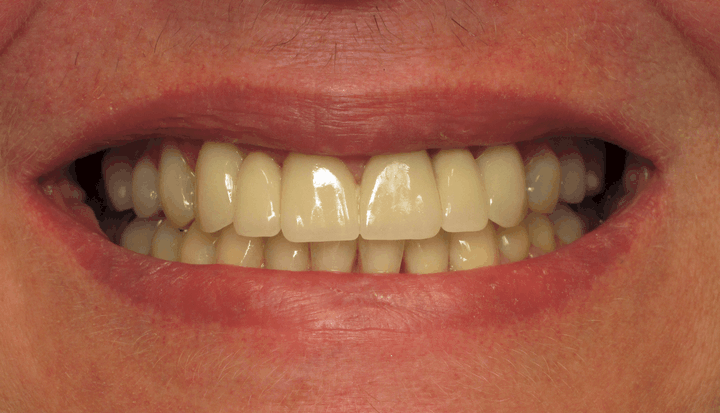 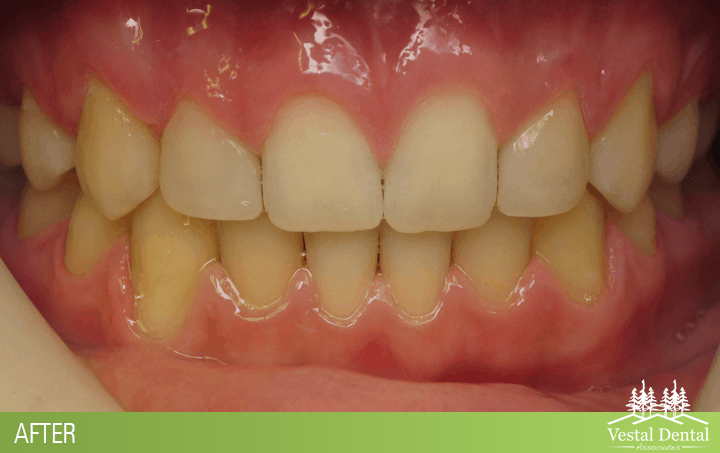 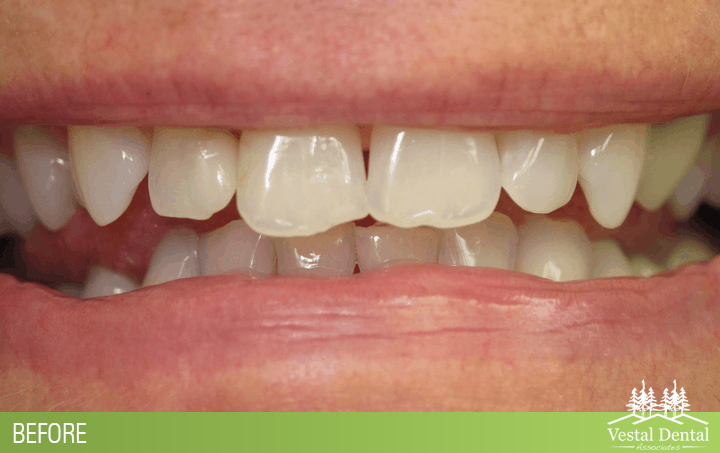 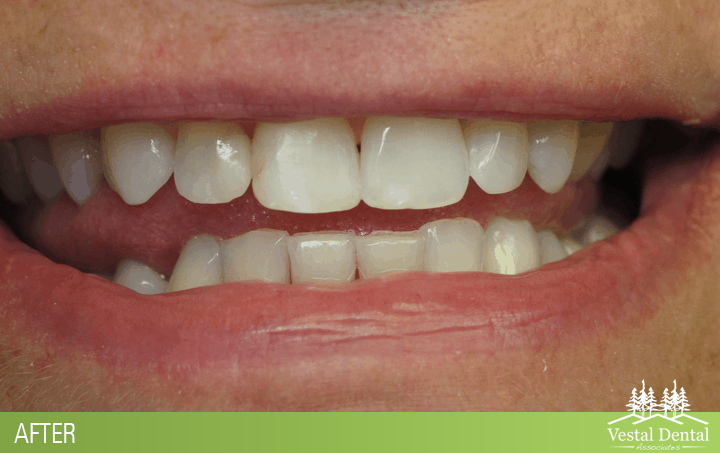 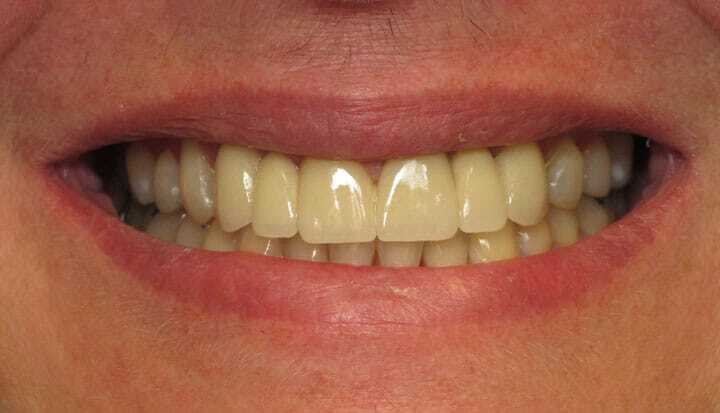 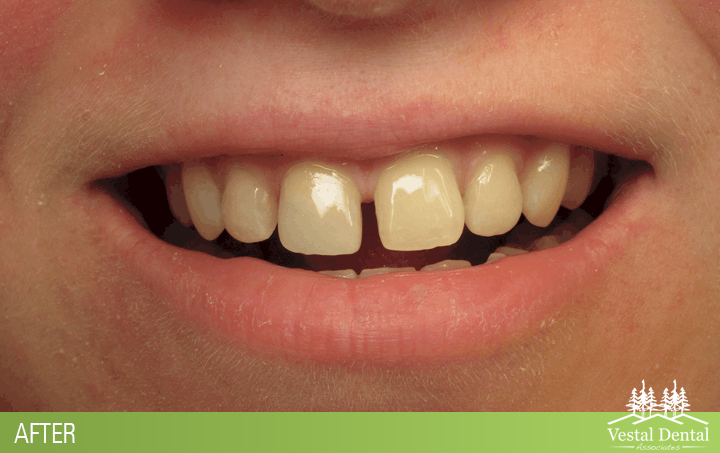 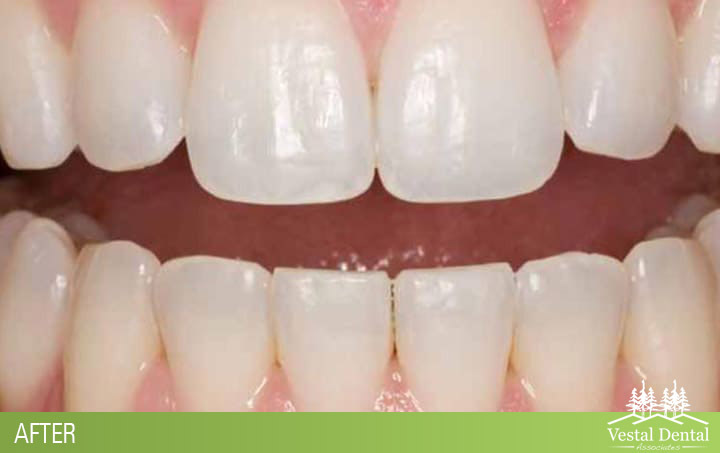 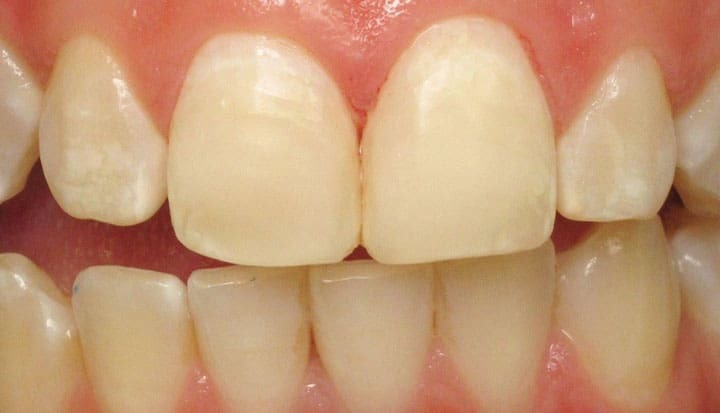 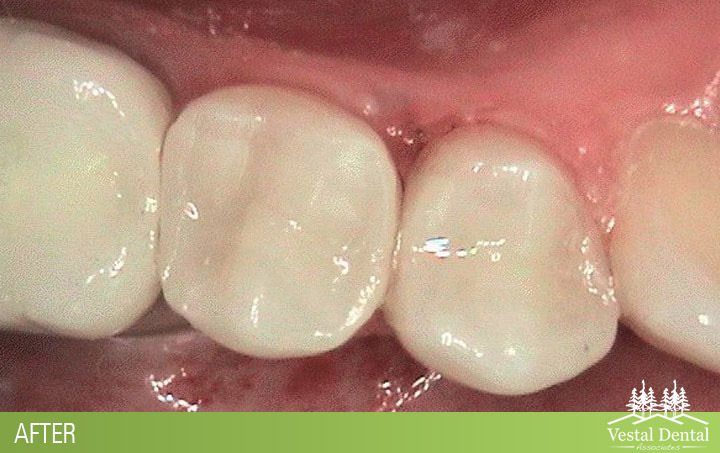 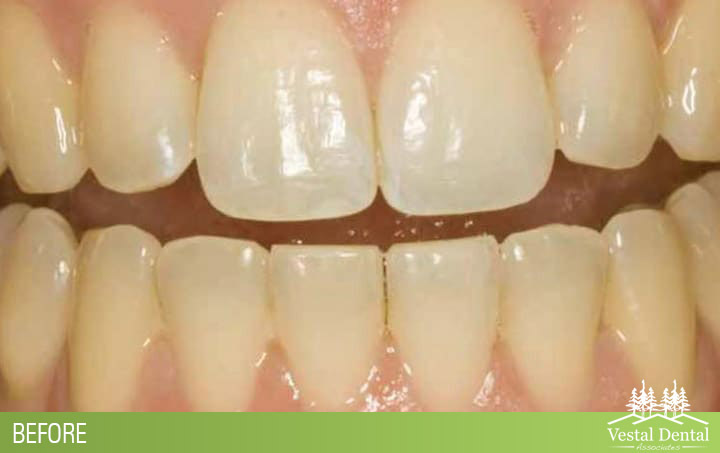 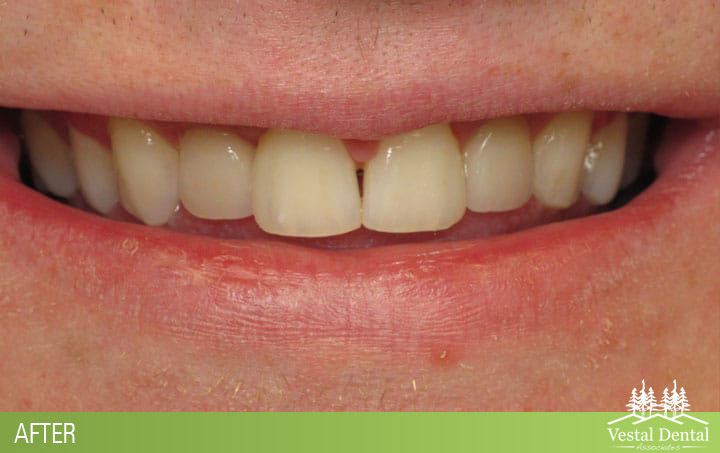 Direct composite bonding and minor gum surgery to correct spacing and tissue health.